From Pho da loi to Wax 'n' Facts the group shares its thoughts on where touring bands should stop when hitting our fair city. Touring as a band can be a surreal experience. You might see the best a city has to offer, from food to art to people, or you might get lost amid a hundred miles of mega gas stations and box store sprawl. Floral Print is a band that knows the ups and downs of the road well. The group has hit the road a few times, and is returning from an 18-day journey this Sat., April 23. Everybody can use a good tour guide. 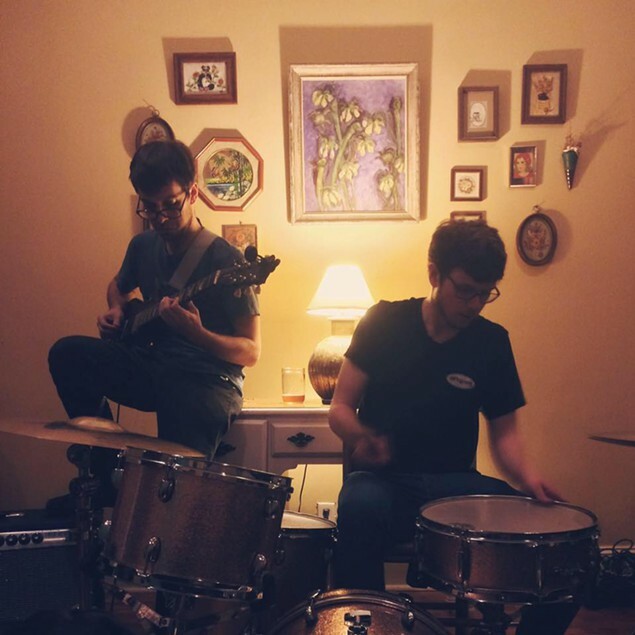 For this feature, singer/guitarist Nathan Springer and cohorts drummer and CL writer Paul DeMerritt and bass player Ross Stansberry shares its thoughts on where touring bands should stop when hitting our fair city. If you've had a slight suspicion that there's more to this Atlanta than Netflix and Taco Bell, then this list might be a good jumping off point for you too. Value Village (Moreland Ave.): This spot has a great selection of super cheap clothing and ephemera. We went there recently for the monthly half-price Wednesday and bought a bunch of shirts to screen print for tour for under $40. Joe's: We love this spot because it's right in the middle of the East Atlanta Village, which is only a stone's throw from where we live. They have a stellar array of comfy couches and great Americanos. Octane – Probably the best tasting coffee in Atlanta even though it's a little pricier than Joe's. The bakery also has some tasty fare as well. Pho da loi: This place is a bit of a drive from the city, but it's totally worth it. Very affordable Pho, Banh Mi, and free jasmine tea will nurse you back to health after getting all of your stuff stolen out of your band's van. Homegrown: We almost always take bands here for breakfast because of the cheap yet quality diner food. The veggie patties are delicious and we bathe in the gravy on a regular basis. There's also a very talented man who plays vibraphone on the weekends. Sevananda/Dekalb Farmer's Market: It's easy to waste away into oblivion from eating so much fast food on tour, so finding a good, healthy grocery spot is crucial. Sevananda is located in Little Five Points and has delicious pre-made meals (the tofu chik'n salad!). Dekalb Farmer's Market is honestly one of the best things Atlanta has to offer and carries every fruit and vegetable under the sun, as well as a killer hot bar. Criminal/Wax 'n' Facts: Both of these are obvious picks but they're popular for a reason. Criminal has a diverse selection and a great variety of comic books, while Wax N' Facts has more deep cuts and cheap finds. Our latest purchase was a whale sound compilation. Videodrome - If you have time and want to unwind with some quality (or trashy) cinema, Videodrome is the top video rental place. Not just in Atlanta, but in the entire world. Sope Creek: This trail is a little bit out of the city but is worth the drive, especially on a warm day. You can go crazy and jump around on the rocks while finding some nice deep spots to dive in. East Palisades Trail: This trail is within 20 minutes of downtown. It winds next to the Chattahoochee River, so if you're trying to swim or brave some killer rapids, this would be a great place to do it. Brownwood Park: We're a little biased because we live close by, but Brownwood is an underrated spot if you're a fan of basketball, bamboo thickets, tennis courts, or chin-up bars. Earthshaking Music: A great spot to restock on strings, sticks, and picks. They also do repairs, so if you're having problems on the road they may be able to help you with a quick fix. Plus, it's conveniently located next to El Progreso, so you can eat some awesome tacos after you shop around. Floral Print plays a homecoming show at Mammal Gallery on Sat., April 23. With Pallas, Clothes, and Kevin Wood. $5. 9 p.m. 91 Broad Street. S.W. 404-771-6912. www.mammalgallery.com.